Last month saw another article from across the Atlantic comparing ‘the joyful, illiterate kindergarteners of Finland‘ with their stressed, ‘schoolified’ counterparts in America. This one, however, was followed up a week later with by a report in the Washington Post about the first actual comparative study of early years provision in the USA and Scandinavia. And The Gift of Time? School starting age and mental health, from the US National Bureau of Economic Research, shows what everyone in early years education already knows: schoolification isn’t working. In the USA, the first grade class has always been known as kindergarten (K for short) and children are enrolled when they are five. Until the turn of the century, Grade K was a gentle, play-based introduction to education, in which children’s social, emotional and physical development were accorded at least as much attention as narrow definitions of ‘school readiness’. But all this changed in 2001 when George Bush’s ‘No Child Left Behind’ legislation made standards of attainment in literacy and numeracy central to all educational practice. By 2010 a ‘common core curriculum’ with tests and targets starting at Grade K, had ensured that ‘kindergarten’ is now actually the first year of formal schooling in the US, bringing it into line with Scotland (and, of course, England where the early-start policy originated). Concern about falling standards means the US government is also sponsoring pre-K classes for disadvantaged four-year-olds, in which school readiness is a central factor. 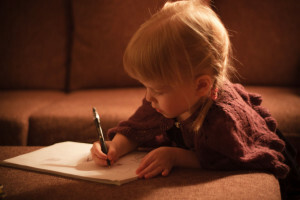 As in other early-start countries, this has caused increasing anxiety among parents, and pressure on little children to start on reading, writing and sum-solving at an ever earlier age. The NBER research mentioned above compares US education with that in Denmark where formal schooling starts at six. Before this, Danish children enjoy three years in kindergartens which still take a play-based, developmentally-appropriate approach to early years care and education. The NBER researchers don’t consider the effects of three years in an authentic kindergarten environment. They merely conclude that ‘a one-year delay in the start of school dramatically reduces inattention/hyperactivity at age seven, a measure of self regulation with strong negative links to student achievement’, adding that these effects persist at age eleven. Their conclusion reaffirms earlier long-term studies from the USA, listed on the Upstart evidence base. These include David Weikhart’s High/Scope Perry Project, of which he gives a powerful explanation on this video clip. And, as Weikhart points out, it’s not just educational achievement that suffers when children exposed to formal teaching before the age of six or seven – it’s mental health and well-being in general and the effects continue long after schooling has finished. The findings of Howard Friedman’s Longevity Project show that these ill-effects aren’t confined to disadvantaged children – his study focused on middle-class Californians who were ‘intelligent and good learners’. Not surprisingly, many US parents have already worked out the social, emotional and educational cost of early schoolification. According to the NBER paper, around a fifth of them now defer their children’s school entry, ensuring that they start their ‘kindergarten year’ at six, rather than five. It seems a fair bet that the parents who make this decision are well-read, middle-class parents (intelligent and good learners), meaning that the attainment gap in the US is likely to get worse as long as current educational policies are in place. As more research comes through, there’s likely to be increasing unrest about schoolification among the chattering classes of the USA. Sadly, however, just as our cousins across the Atlantic wake up to the damage their Race To The Top policy has caused, Scotland appears to be moving towards greater schoolification by introducing standardised testing of five-year-olds. Why, oh why can’t we look North, to the joyful, illiterate kindergarteners of Finland, a country whose early education policies actually work? As a former nursery teacher, I had occasion to advise parents on school “readiness” of their children . In Scotland pupils may start school in the year in which they turn five, but must start school by the first intake after their fifth birthday, so there is some (not well advertised) flexibilty . Every single parent whom I advised to delay school entry but who ignored my advice later came to me admitting regret. Not once did the parent of a child who delayed entry ever regret the decision: on the contrary .